Gagan Sinha is a senior director, IT Store Systems, Dunkin Brands. 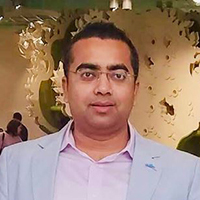 In his current role, Gagan is responsible for all in store technology for both brands - Dunkin and Baskin Robbins globally including transformation, strategy, execution and innovation. Gagan joined Dunkin Brands in May 2016 with more than 15+ of years of leadership experience in retail technology. Prior to joining Dunkin, Gagan was working at Oracle Micros leading global consulting teams implementing retail software (POS, ecommerce, back office etc.) for various retailers.